IBM came to notice Future Domain when they introduced the PS/2 line of computers in 1987. By 1990 IBM was planning to add CD-ROM drives as standard to some of their PC’s focused at the multimedia and educational markets. Our east coast OEM sales manager, Steve Sullivan, brought this to Dennis Edwards’s attention, and upon Dennis leaving at the end of 1990 he brought it to mine. In Japan we had met with IBM Japan which was developing optical disks and CD-ROMs. IBM Japan had a few problems with their SCSI interface and I committed to making sure the product worked. They were pleased. I traveled with Steve to IBM in Boca Raton Florida in early 1991. We met with a purchasing manager and of course the first thing that needed to be dealt with was IBM’s strict confidentiality and intellectual property agreements. The purchasing manager said we might want to have our lawyer look at the agreements. I looked at him, signed them, and said “no we don’t”. He was quite happy and set up a meeting with the product leader for a new low cost IBM branded SCSI adapter, Mike Perez. Mike was an interesting guy. I took a liking to him immediately. He admitted to me that they had been evaluating some of our competitors’ products, but that ours was far superior. He also told me IBM Japan had recommended our company. I thanked him and filled him in on our plans to improve and cost reduce the product, which he generally agreed with. Then he told me there where many more SCSI controller opportunities at IBM, and that maybe he can help us with them. I think Mike was entrepreneurial from the start, and was stifled by the IBM bureaucracy. I encouraged Mike’s independent thinking. Mike worked with us on development of the IBM Patriot SCSI Adapter A, which was an IBM branded MCS-600 adapter using our new 18C50 chip. The project took about a year, and we began shipping to IBM in early 1992. By that time IBM had a huge loss and began cutting back. I came out to Boca to meet with Mike and he was ready to jump ship. I told him that IBM was, and would be an important customer, so I made him a deal. I would bring him on board, but I wanted him to work a deal so that he would remain at IBM Boca for 6 months while we built our team there. Mike thought that was a great idea and that his managers agreed. So now Future Domain had an employee based inside the IBM PC Company! During this period Mike got our product into several IBM programs. For example our TMC-950 chip was added to the motherboard of the IBM Eduquest model 40 Educational PC that was sold to schools. IBM continued to manufacture AT bus computers for OEM customers, so they also needed our 16 bit AT bus product. 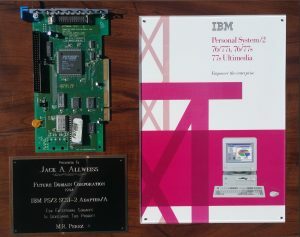 IBM decided to reintroduce an AT bus computer, known at PS/ValuePoint, in October 1992. IBM selected Future Domain as the sole supplier of SCSI adapters for the new PS2/Valuepoint family. Near the end of the 6 months Adaptec got wind of what was going on and complained to IBM Corporate. Mike was told he would have to vacate by the end of the month. But by this time we had an office suite near the IBM plant with four employees. We were now doing most IBM projects at our Boca office. In 1993 IBM had two major SCSI projects. The IBM Ultimedia PS/2 Models 55/77 and the IBM PS/2 Server model 90. The Ultimedia was a sure thing for us given our position over the last three years in that market; however the server was another issue. We still did not have a bus master SCSI adapter. That was not much of an issue at IBM because they had their own high end SCSI controller in development for the Model 90. That all changed in 1994. Mike called me and said that IBM had decided to consolidate R&D for the PC in Raleigh North Carolina. IBM Boca would be closed by the end of the year. As a result they canceled the IBM SCSI controller and were looking to use Adaptec. I was concerned. IBM was our largest customer, and Adaptec was known of making problems for us. Mike had a suggestion. He felt that IBM would license the IBM SCSI adapter to us so we could manufacture it and sell it back to them! I was skeptical, but Mike began working on it. Three months later he had me fly out to Boca for a meeting with management. Yes, they would license the product back to us so we could sell it to them! I was concerned because IBM was having severe financial difficulties at this time, but I agreed. About three weeks later Mike flew out to California with bad news, IBM had “lost” key files needed to produce the chips required for the IBM adapter. Because they were now closing down Boca they would not invest any effort in trying to recover the missing data. Corporate had decided to use the Adaptec product for the Model 90 server, but assured Mike it would not impact our business. I asked Mike to look at what options we had to displace Adaptec from the IBM account. It was pretty clear by 1994 that IBM’s commitment to micro channel was waning with the problems at the PC Company. Focus had begun to shift to the new PCI bus proposed by Intel, and in fact the model 77 and model 90 would be the last MCA computers introduced by IBM. 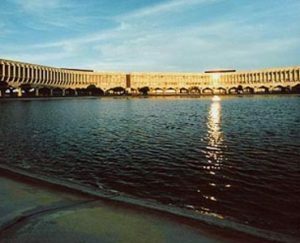 With IBM closing Boca the issue became, what do we do about our Boca office? We had five employees there by 1994. The right thing to do would be to close it and move to Raleigh, but Mike did not want to move, he had deep roots in Florida. By late 1994 Mike had to fly up to Raleigh to meet with the IBM PC group. It was not an ideal situation. I would face a tough decision in 1995 regarding the future of Boca now that IBM was gone. In the four years from 1991 to 1995 Future Domain developed and manufactured many SCSI adapter products for IBM Corporation. This included the “IBM AT Fast SCSI Adapter for PS/ValuePoint”,” IBM PS/2 SCSI Adapter/A”,” IBM PS/2 FAST SCSI Adapter/A”,” Eduquest PC Model 40 Adapter”,” IBM Home and Away Credit Card SCSI Adapter”,” IBM SCSI Software for Windows”,” IBM CD-ROM Software for DOS and Windows” and other special application software and hardware. By 1995 IBM was Future Domain’s largest customer, comprising about 25% of our business, almost $8 million a year.